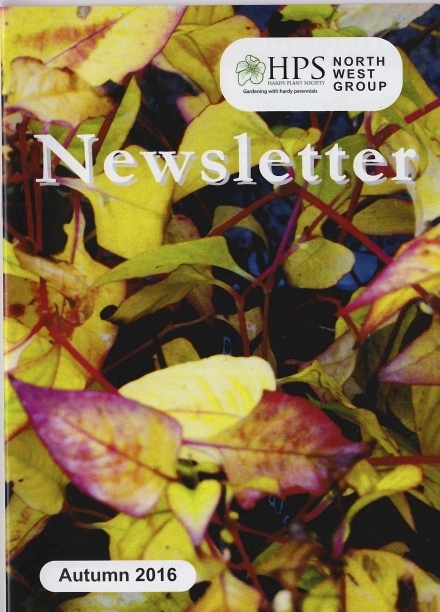 Our Newsletter is issued twice per year and contains a good selection of interesting items written by members. If any member has interesting digital photos of the visits or other events described in the Newsletters that could be used to add a pictorial dimension to these web pages we should like to hear from you at the next meeting, or by e-mail, letter, or phone call. The alpine wood fern first caught my eye growing in the Plant Heritage National Plant Collections of Dryopteris at Harlow Carr and at Sizergh Castle (see image). It is a handsome plant and I have often thought it would look well on our displays at Southport and Chorley FS. Is anybody growing, or willing to grow, a large specimen in a container? The species (there are also one or two subspecies) is found as far apart as Hawaii, Mexico, Jamaica and Himalaya. Its typical habitat is moist, shady woodland and its height is 60-120 centimetres (24 to 48 inches). It appears to be hardy in most of the British Isles. The erect fronds are lance shaped, twice divided with neatly squared-off pinnae tips. In the wild the short stipe (stalk) and the rachis (stem) are often covered in brown scales whereas plants found in cultivation usually have black scales, which are conspicuous on the emerging fronds. As the fronds unfurl, the black scales also make a striking contrast with the bright green segments (Phillips and Rix, 1991; Rickard, 2002). Plant growth is slow which limits propagation by division. Alternatively, plants propagated by spores harvested in summer come true. Val Bourne (2005) recommends a wide range of planting partners. For example, the emerging brown knuckles enhance the pure white flowers of snowdrops and later cover the fading leaves; it also looks well with Tulipa ‘White Triumphator’ AGM. Anna Pavord (2009) recommends growing Camassia leichtlinii ‘Alba Plena’ between the unfolding fronds. Bourne, V. (2005) 'How to grow: Alpine wood fern', The Telegraph, 5 November [Online]. 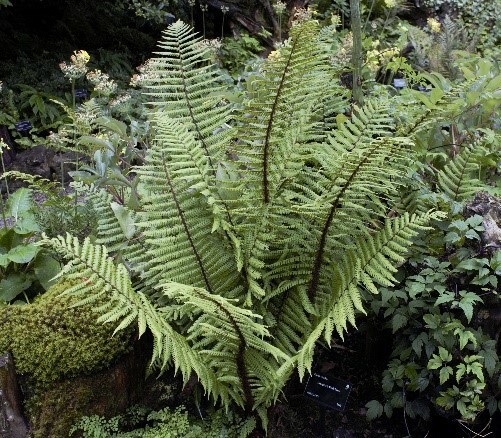 Available at https://www.telegraph.co.uk/gardening/howtogrow/3336497/How-to-grow-Alpine-wood-fern.html (Accessed 30 September 2018). Pavord, A. (2009) Bulb, London, Mitchell Beazley. Phillips, R. and Rix, M. (1991) Perennials (Volume 2, Late Perennials), London, Pan Books. RBG Kew (n/d) 'Nathaniel Wallich', Royal Botanic Gardens, Kew [online]. Available at http://apps.kew.org/herbcat/gotoWallich.do (Accessed 22 September 2018). 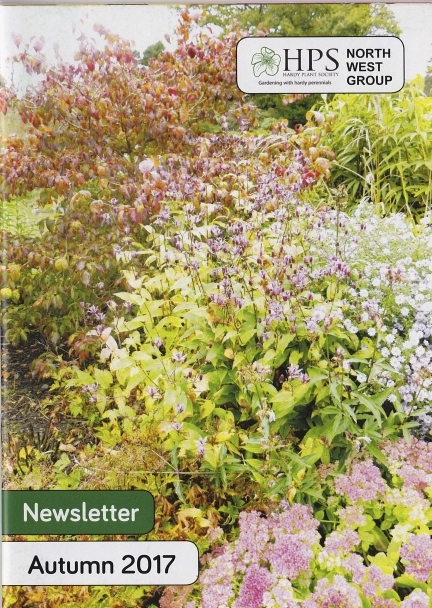 Rickard, M. (2002) The Plantfinder's Guide to Garden Ferns, Newton Abbot, David and Charles.